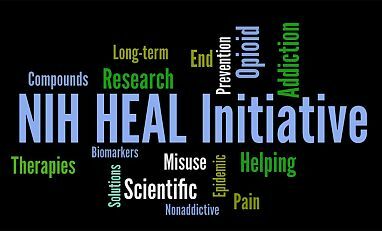 In 2017, there were 749 overdose deaths­­­ involving opioids in South Carolina—a rate of 15.5 deaths per 100,000 persons compared to the national rate of 14.6 deaths per 100,000 persons. 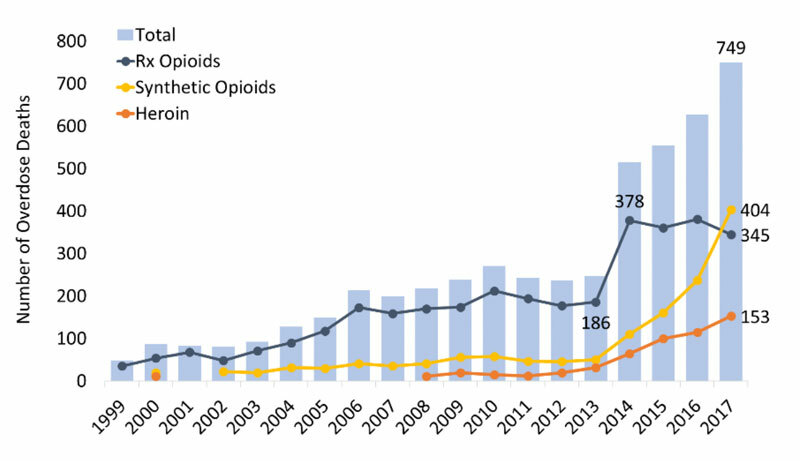 The greatest increase in opioid deaths occurred among cases involving synthetic opioids (mainly fentanyl), with a nine-fold increase from 46 deaths in 2012 to 404 in 2017 (Figure 1). Heroin involved deaths also increased in the same five-year period from 19 deaths in 2012 to 153 in 2017. Overdose deaths involving prescription opioids have remained steady in recent years after a nearly twofold increase from 186 in 2013 to 378 in 2014. Figure 1. Number of overdose deaths involving opioids in South Carolina, by opioid category. Source: CDC WONDER. In 2017, South Carolina providers wrote 79.3 opioid prescriptions for every 100 persons (Figure 2) compared to the average U.S. rate of 58.7 prescriptions for every 100 persons. Overall, this represents a less than 12 percent decline in South Carolina opioid prescriptions, since 2006 (CDC). From 2013 through 2014, the rate of overdose deaths involving opioid prescriptions doubled from 4.0 to 7.8 deaths per 100,000 persons. Since 2014, however, this rate has remained unchanged overall with 7.1 deaths per 100,000 persons in 2017 (Figure 2). Figure 2. 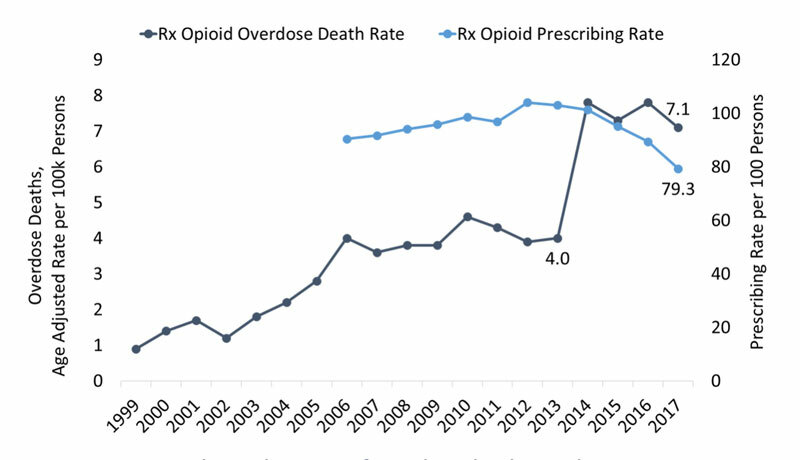 South Carolina rate of overdose deaths involving prescriptions opioids and the opioid prescribing rate. Source: CDC and CDC WONDER. 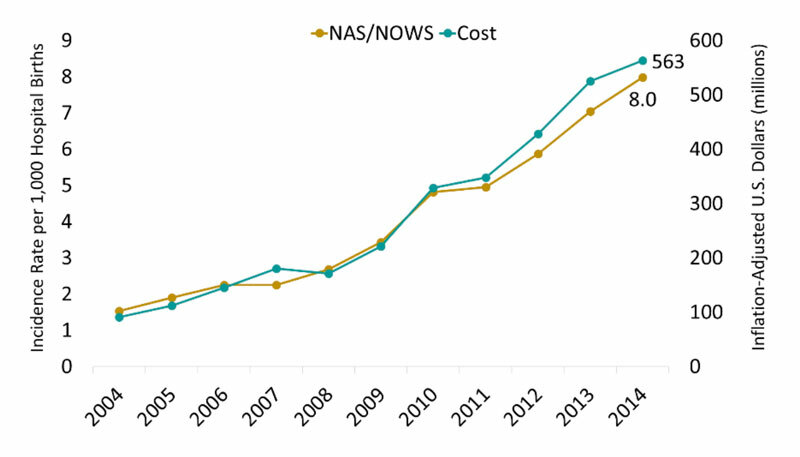 NAS/ NOWS in South Carolina doubled from 2009 through 2013 from 1.9 to 3.9 cases per 1,000 hospital births (CDC). Figure 4. South Carolina: Estimated percent of male vs. female with new HIV diagnoses, by transmission category, 2016. Source: CDC and www.AIDSVU.org. State Incidence: Of the new HIV cases in 2016, 757 occurred in South Carolina. Among males, 5.9 percent of new HIV cases were attributed to IDU or male-to-male contact and IDU. 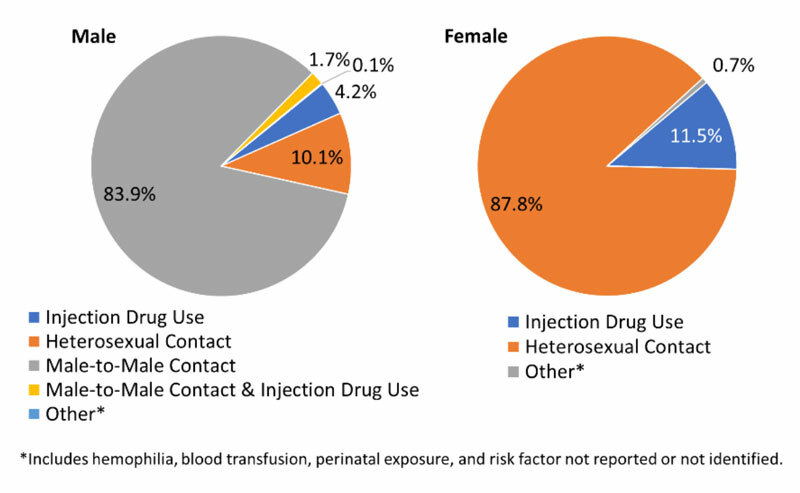 Among females, 11.5 percent of new HIV cases were attributed to IDU (Figure 4) (AIDSVu). State Prevalence: In 2015, an estimated 16,425 persons were living with a diagnosed HIV infection in South Carolina—a rate of 394 cases per 100,000 persons. Of those, 14.4 percent of male cases were attributed to IDU or male-to-male contact and IDU. Among females, 14.8 percent were living with HIV attributed to IDU (AIDSVu). State Incidence: There were approximately 10 new cases of acute HCV (0.2 per 100,000 persons) reported in South Carolina in 2016 (CDC). State Prevalence: In South Carolina, there are an estimated 36,100 persons living with Hepatitis C (2013-2016 annual average), a rate of 970 cases per 100,000 persons (HepVu).